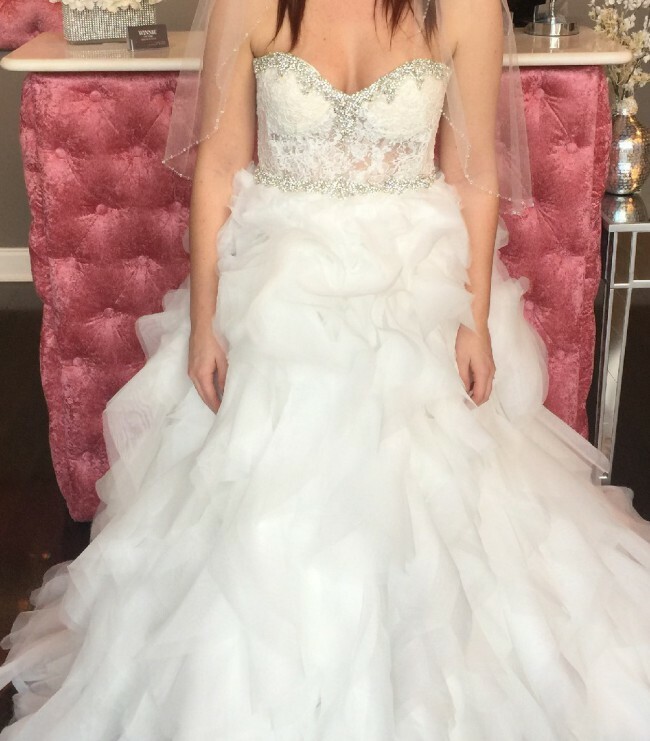 This white elegant ball gown was custom made sent from California. Never worn, only tried on once shipped in. Beautiful dress, im thicket in the thighs and small waist so it shows off the top curves very well. Couture textured ballgown with a strapless sweetheart neckline and an all around decorated unique beading. Included is the beaded one layer vale, also made to go with the custom made ball gown wedding dress dress. Comes with garment bag.